Remember how psyched you were the first time you watched Bruce Irons pack huge barrels to Motorhead's "Ace of Spades" in The Bruce Movie back in 2005? Big tubes. Hard metal. It was a recipe that worked. Strangely, shortly thereafter the pre-surf psyche-up lost the rock and went the route of lasers and sparkling dance tracks instead. So let's cut the lights. Re-embrace the shadows. And yes, Graveyard is just as metal as their name implies. With names like Rikard, Axel and Joakim, they're so Nordic you'd be forgiven if you mistook them for a Dethklok tribute band. 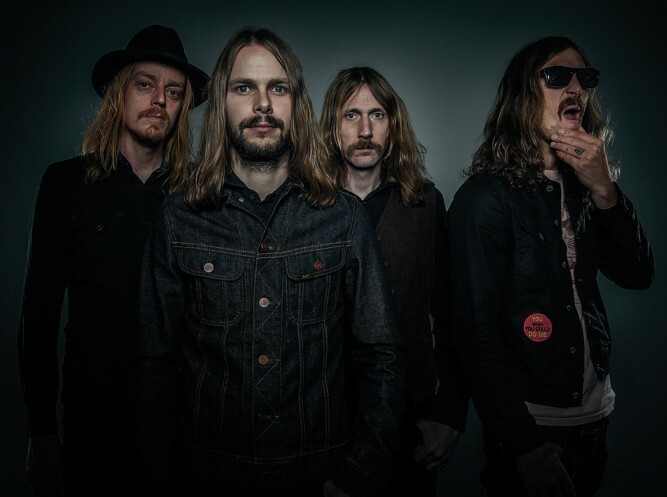 Lead singer Joakim Nilsson has the kind of gruff, wise voice that makes you think cigarettes are cool and has a howl that Robert Plant would tip his hat to. Nilsson says the band aims for a sound in the neighborhood of Slayer and Howlin' Wolf. Sounds like a pretty rough 'hood.